Arabuko-sokoke forest lies a few kilometers inland on the Kenya coast, between the towns of Kilifi and Malindi and it is 110 km north of Mombasa city.It is the largest extant fragment of the forest that was once covered much of East Africa Coast, and whose remnants constitute the East Africa Coastal Endemic Bird Area.Arabuko-sokoke was proclaimed a crowned forest in 1932 and gazetted in 1943, covering an area of 39100 ha (Leon Bennun & Peter Njoroge,1999). Arabuko-sokoke forest consist of three very distinctive forest type each with its unique flora and fauna. Mixed forest (7000 ha) in the east, on the grey sand.This habitat is relatively dense, tall and undifferentiated, with a diversity of tree species including; combretum schumannii, drypetes reticulata, Afzelia quanzensis among other vegetation. On the second category is Brachystegia woodland covering about 7700 ha.It runs in a strip through approximate centre of the forest, on the white very infertile soil.This relatively open habitat is dominated by Brachystegia speciformis. Thirdly, we have Cynometra forest and thicket dominate by Cynometra webberi, with Manilka sulcata and oldfieldia somalensis growing on top of red magarini sand. Six globally-threaten species live in this forest, among them are; Clarke’s Weaver, Sokoke Scops Owl, Sokoke Pipit, Amani Sunbird, Southern-banded Snake Eagle, Spotted Ground Thrush, East Coast Akalat, Fisher’s Turaco , Plain-backed Sunbird and Little-yellow Flycatcher . 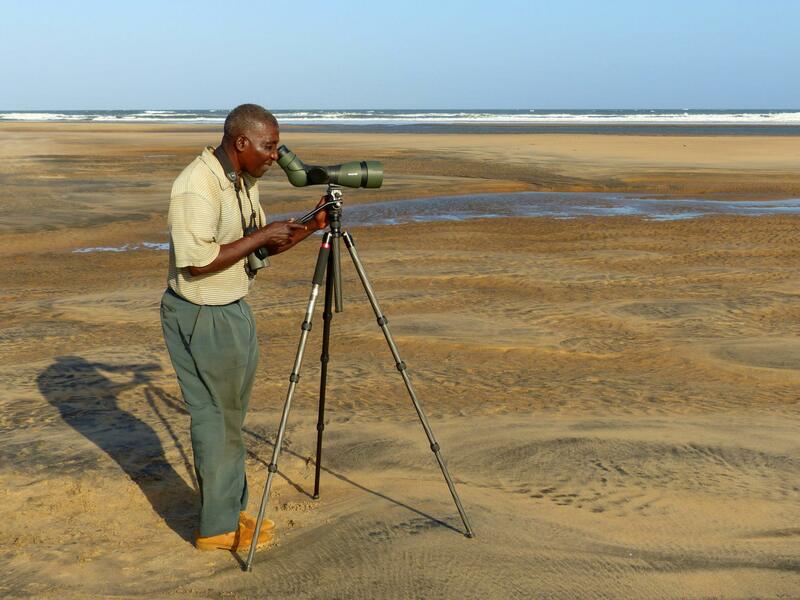 David Ngala is an exceptional guide and his services is a must for any self-respecting birder.Kenya forest and Kenya wildlife services charges a forest visit fee of US Dollars 20 for non-resident.